“What’s Wrong with My Marijuana Plant? 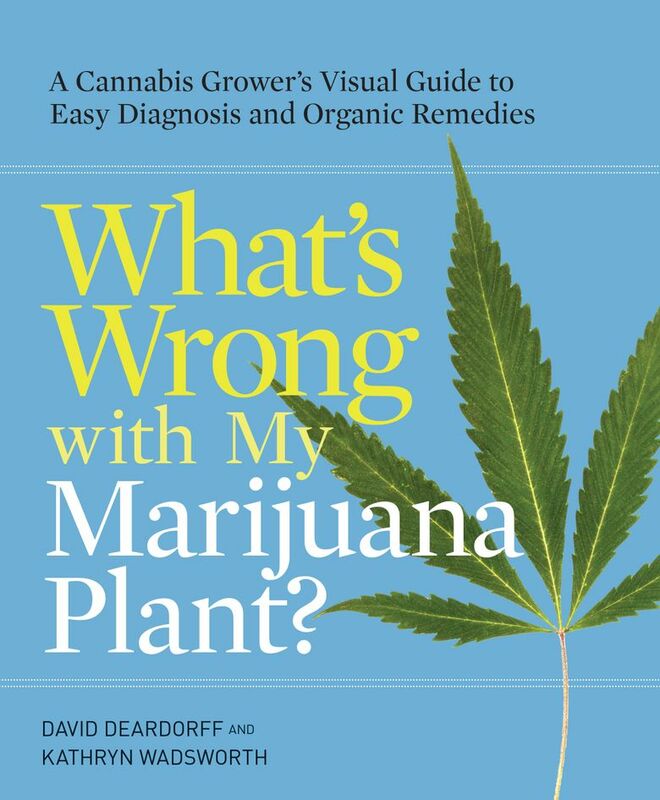 A Cannabis Grower’s Visual Guide to Easy Diagnosis and Organic Remedies” (Ten Speed Press, 2017), by David Deardorff and Kathryn Wadsworth, is the fifth in their “What’s Wrong With...’” series. They’ve written guides about growing fruit, vegetables, houseplants and more. Now, the authors of a popular gardening series have set their sights on something a little different. “What’s Wrong with My Marijuana Plant? A Cannabis Grower’s Visual Guide to Easy Diagnosis and Organic Remedies” (Ten Speed Press, 2017), by David Deardorff and Kathryn Wadsworth, is the fifth in their “What’s Wrong With…’” series, and is one of the first mainstream gardening books to offer practical advice on a topic some still consider taboo. The publisher of the series’ earlier books, Timber Press, declined to publish this one. Just when the authors thought they might have to self-publish, Ten Speed Press agreed to step in. “Another side to this is that we feel it’s crucially important that any plant to be used medicinally be grown organically, and our book helps people address any problems they encounter during the growing process using organic solutions,” says Wadsworth. The book, like the earlier books in this series, takes a visual and diagnostic approach that can be especially helpful for novices. “We focus on the first symptoms a grower can see with the naked eye. So in our book, there’s a picture of what that problem looks like and a detailed description so you can diagnose the problem. Then you can change the growing conditions accordingly,” Deardorff says. The book is divided into sections based on the parts of the plant, such as leaf, stem, root or flower. Because so little research has been done on marijuana in the U.S., largely due to its federal legal status, the authors researched the book by interviewing medical-marijuana growers around the country, including indoor growers, outdoor growers and home growers. “We combined the information from these visits with research using publications from the Netherlands and Israel,” Deardorff says. He says those countries are leaders in research on medical marijuana. The most common problem for marijuana plants, he says, is mites. And one common mistake, whether marijuana is being grown outdoors or inside in pots, is not using a potting soil that’s sufficiently light and airy. Plant nutrition is another issue, since nutritional needs change over the life of the plant. That requires different fertilizers. And although marijuana plants are generally robust, they can get powdery mildew or aphids. 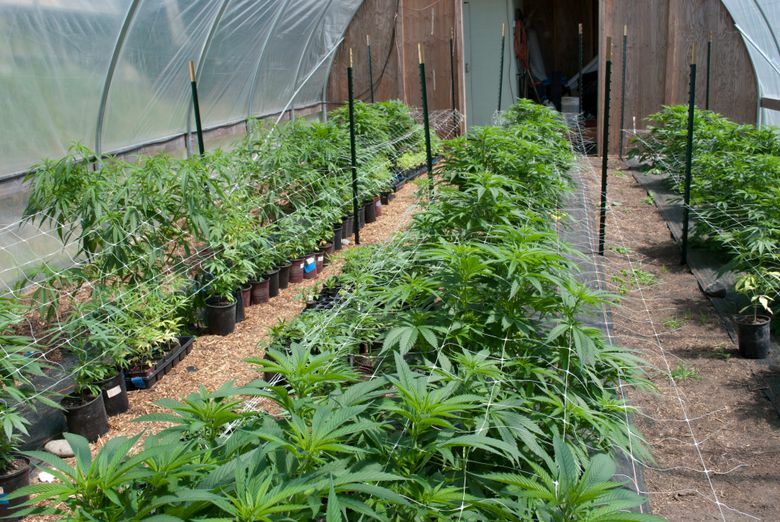 “A lot of people are still using pesticides to deal with things when they should really be growing it organically, particularly for a weed like this that may be used medicinally,” he says. What’s next in Deardorff and Wadsworth’s gardening-book series?